Earn $0.79 in VIP credit. Click to Learn More. Schwalbe is a German tire company known for its durable puncture-resistant tires. 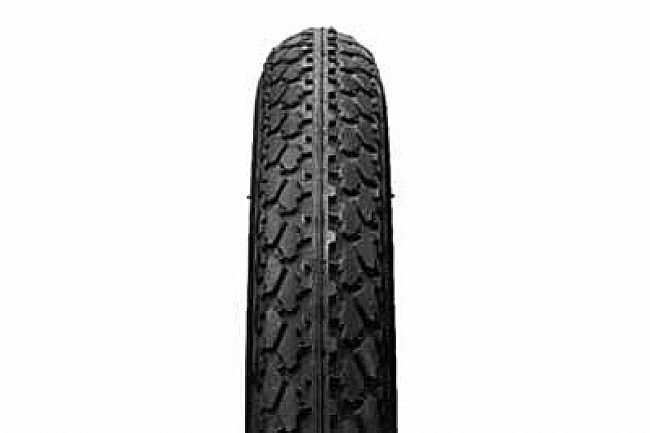 This model is a robust, rugged tire, perfect for bad weather or commuting. 27"x 1 1/4". 85PSI Max, SBC tread compound, black with off-white sidewall, wire bead, 550g. 32-630. For 27 inch tires, you can use the 700x25/32 tubes recommended when adding the tires to the cart. Make sure to choose either Schrader or Presta valve tubes depending on which valve your rim is drilled for. These tires fit a little loosely on some rims and require a hooked-rim to seat properly. This tire is not recommended for rims that have smooth inner sides. Bought these to go on a recumbent for some distance touring. Have put about 1000 miles on them, mainly on paved roads with no issues. They have quite a bit of tread compared to the Gatorskins I've used on my normal road bikes. Looks like they will last a long time. Since I ride at night during the summer to stay out of the heat, (on country roads) I particularly like the reflective side wall. That was the main reason I switched. Very happy with them. I put these Schwalbe tires on several bikes in our household that are used as utility bicycles, driven to the market, over trails, on rough country roads, and under generally adverse circumstances. I'm amazed at how durable and puncture resistant they are. 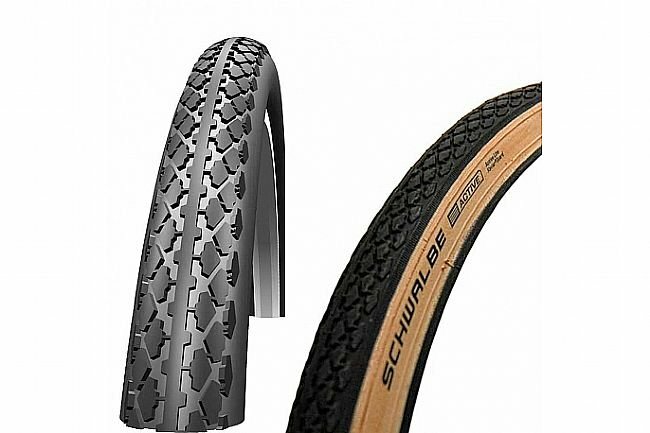 I would have expected a harsh ride from puncture resistant tires due to harder compounds, but the Schwalbes ride as good as any of the more sophisticated tires I've used on other bikes. They're also very good in loose gravel and sand situations and conditions, exhibiting minimal slippage and quite amazing tracking. I'm sold on these, and will continue to use these as my go-to tires for any general purpose bikes I build in the future. The price was right and I wanted a tire that could be removed and mounted without tools. The rear wheel worked out super so I bought a second for the front. Unfortunately with the front the bead wanted to come off the rim when inflated. I was finally able to keep it seated by partially inflating and pushing it down until it popped over the hook. I think it's okay but worrying. Maybe they are a bit too loose on the rim? Nicely made tire otherwise. Got an aging Nashiki (cheap, as in free) to use for shopping without worry about it being stolen. It came with new Kenda 1x1 14 wire bead tires that were EXTREMELY hard to remove and mount and that was in the warm, dry garage. Out on the road fixing a flat would have been a real struggle. I bought one to try because of the claim that they were looser on most rims. Not too loose but just loose enough it could be mounted without tools. Just what I was hoping for. Can't speak to durability and I probably won't put a lot of miles on this bike anyway. Not crazy about the gum-wall side walls but I have no worry about fixing a flat away from home which was the main idea. Going to order a second for the front. Price is right as well! Made in Vietnam! Awesome looking and nice quality. Very cool looking tire. They seem like good quality as well. Got these installed on my 80s Norco single-speed road bike. Been commuting in Toronto with them for the second summer now and they have given me zero problems. Toronto (and especially the suburban areas just outside of downtown) has some pretty patchy roads and these have been solid. If you're running old steel rims or old hookless alloys, you're gonna pop the tire - any tire - off the rim at too high a pressure. Having said that, I run these guys at 95-100psi and they're rock solid on my Weinmann RM19 rims. Never flatted in 1000 miles of moderate abuse. So far so good! Tires for a restored 10 speed for my grand daughter. I have these (two pair) tires on two separate older Schwinn bikes. I have probably 2000 miles total with no flats. As some of the other reviewers noted, you do need hook beaded rims to run up to the maximum pressure recommended. I have not had any issues with the tires coming off the rims. Side wall slow leak from thorn. These tires are great. Easy install, smooth ride. This was the best deal on Schwalbe tires I've come across. They are great all purpose tires. I commute 5 miles a day round trip and they are perfect. I reviewed these 2 years ago. Finally need replacing. A great tire for a great price!! They have never come off my smooth wall rims, just need to take an extra moment on install to line up the tire around the rim. Over 4000 miles of the worst roads Portland has to offer, from 104 degrees to 13 degrees, these tires have pulled their weight for being so inexpensive. I hop curbs at least a few times a week, and hit 45mph on my commute everyday (got to love long down hills). The red is just starting to show in the center of the tire, still not flatting!!! I bought these tires for a 70's Schwinn 12 speed. 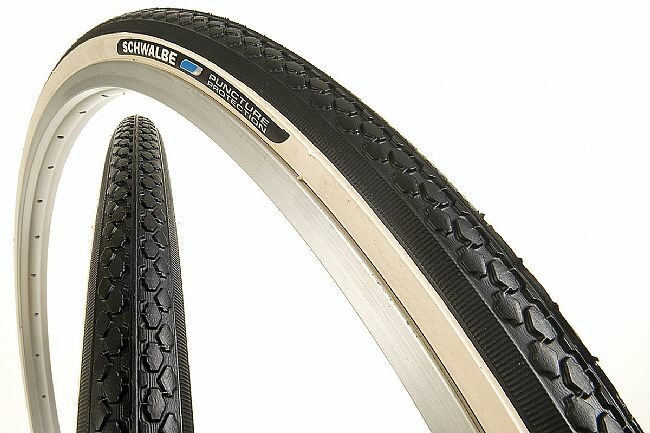 You can't buy a better tire than Schwalbe in my opinion and these tires are a great value. They look awesome on the bike too. 26 of 26 customers found this review helpful. I have put a few hundred miles on these tires commuting with a 70' road bike. Other than one poor tire install, resulting in destroyed tube, these tire are great!!! I'm around 200lbs and there is lots of broken glass on my 10 mile each way commute. No flats do to glass or other objects. I'll be getting these tires again when mine wear out. Great in the rain too!!! The whitish sidewalls add to the 70's bike style.